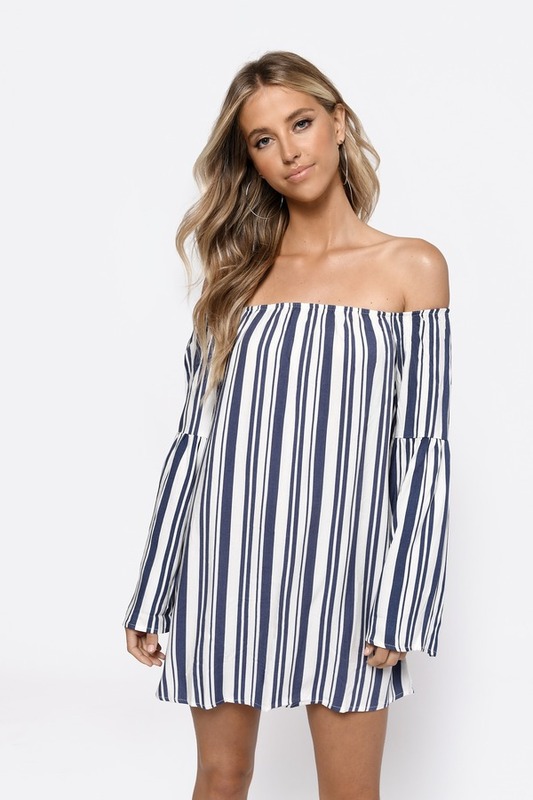 Check out Tobi's Peace of Mind Striped Off Shoulder Shift Dress Try a new take on the shirt dress next time the sun comes out. The White Multi Peace of Mind Striped Off Shoulder Shift Dress has long bell sleeves and a longer length curved hem at the back to look like a shirt tail. Crisp vertical stripes makes this shift dress an easy choice for vacay style. Try a new take on the shirt dress next time the sun comes out. The White Multi Peace of Mind Striped Off Shoulder Shift Dress has long bell sleeves and a longer length curved hem at the back to look like a shirt tail. Crisp vertical stripes makes this shift dress an easy choice for vacay style.